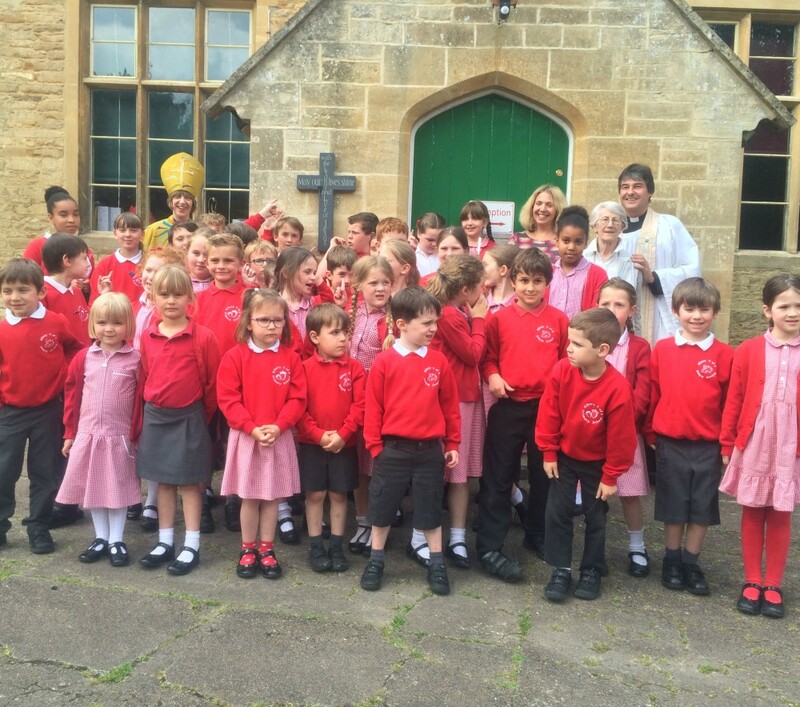 The Bishop of Gloucester, the Rt Revd Rachel Treweek baptised two children at Bibury Church of England Primary School in a special service. Headteacher Mrs Pascoe said: "This is a real celebration of the partnership between the church and the school. Year six pupil Milly and year four pupil Bella feel that this ceremony confirms the connection they have as part of the church and school community. "The girls and the school will never forget this amazing day. Another pupil asked to be baptised after the service. And the kids loved Bishop Rachel who was so natural and easy with them, possessing that precious gift of connecting without patronising, because she respected and honoured them." Some students are confirmed at school services across the Diocese each year but having a baptism in school is rare. 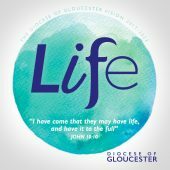 Bishop Rachel also blessed a cross with the school's vision on it: "May our lives shine with the light and love of Jesus." The children helped to create the school's vision statement and asked that the cross should be displayed outside to show the Christian ethos of the school. Bishop Rachel said: "I am delighted to be able to baptise these two girlsand to continue to develop and support the partnership between Bibury School and the church."